When it’s time to go car shopping, the first question you should ask yourself is: am I better off leasing or buying my new car? While there are many personal factors that must be considered before making that decision, there are some major benefits to leasing that might sway you away from buying outright. If you’re in the market for a new car and are unsure if you’d prefer to buy or lease, DePaula Chevy has a fantastic inventory of new cars and their helpful and knowledgeable sales team are always happy to explain Chevy lease deals and how they may suit your lifestyle and budget. The 2017 Chevy Equinox is one model that is extremely popular among the leasing set right now and it’s pretty easy to see why. 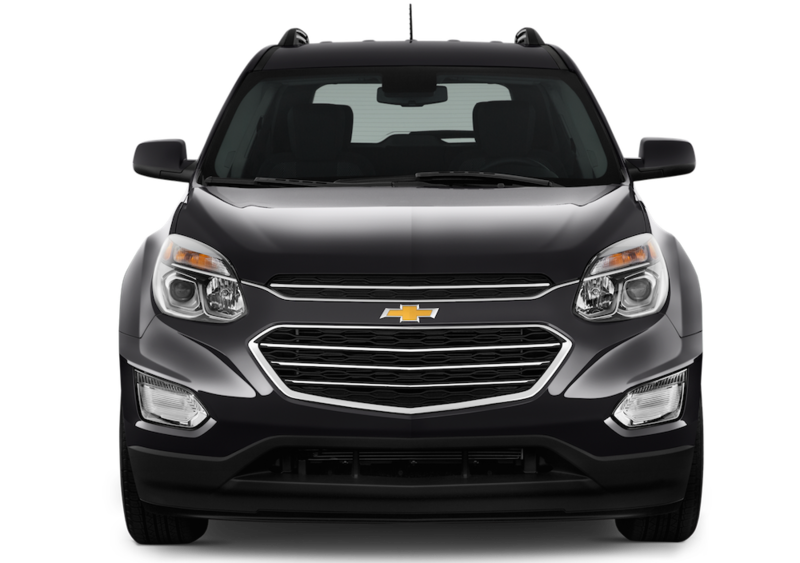 The 2017 Chevy Equinox is a five passenger SUV that is notable for its roomy and comfortable interior. An ideal family SUV, the Equinox has been rated Good – the highest possible rating – by the Insurance Institute for Highway Safety. It has a four out of five-star rating from the National Highway Traffic Safety Administration and comes equipped with two full LATCH connectors for car seat installation and a rearview backup camera comes standard on all models. Available in four trim levels, the base model Equinox – the L, features a seven-inch touchscreen display panel, OnStar communications, a 4G Wi-Fi hotspot, Bluetooth capability, a six-speaker sound system and a USB port. Of course, moving up the trim levels through the LS, LT, and Premier trims loads the Equinox up with even more fantastic features, such as rear parking sensors, blind-spot monitoring, lane departure warning, heated mirrors, rear privacy glass, remote start, leather upholstery, heated power seats, and driver memory settings – just to name a few. Why bother listing out the features available in the different trim models of the Equinox? Because when it comes time to decide if you want to lease or buy your car, one thing to consider is technology. If you buy the 2017 Equinox, the technology you load in the car today is most likely the technology you’ll still be relying on five, ten, even fifteen years down the road – for however long you keep the car. But if you do a three-year lease, you’ll know that in just 36 months you’ll be able to access brand new technology when it’s time to turn in your 2017 and lease a new model year. While we have no idea what the 2020 Equinox will have in store for us, it’s safe to say that not only will the entertainment technology be more advanced, but the safety technology will become even more protective. So, if you’re one of those people who likes to be on the frontline of innovation, leasing, rather than buying, will allow you to stay ahead of the game. The 2017 Chevy Equinox is one of the few cars where your passengers will actually be clamoring to ride in the backseat, which is extremely roomy – in fact, it offers some of the best interior passenger space in its class. Additionally, the Equinox offers 31.5 cubic feet of trunk space to accommodate your backseat passenger’s belongings, or, if you’re riding sans passengers, fold the rear seats down and expand the cargo hold to 63.7 cubic feet. Plenty of room for shopping bags, luggage, or sports equipment for a few people. It may slip your mind, but passenger room and cargo space are also very important factors to consider when deciding whether to lease or buy your Chevy Equinox. Although no one can predict the future, it’s best to try to think ahead as much as possible, and while the Equinox fits five passengers, is that going to be enough room if you’re planning on growing your family? Will the cargo hold be able to accommodate all of your belongings? Maybe the Equinox is perfect for you now but in a few years, you may need to upgrade to the Chevy Traverse, which seats eight passengers and has copious amount of cargo room. Leasing affords you the flexibility of having a car that can grow and change with you as your life evolves. Not only does leasing offer you the flexibility to upgrade to more tech-savvy features or additional passenger space if need be, but it also offers you the financial flexibility to reevaluate your budget and needs every few years. Have a bit of a windfall and want to splurge on a higher-level trim? Decide that you need to put a little more money aside each month and want to move down to the base model? No problem! When it comes time to turn in your lease, you secure a lease that fits where your finances are now – not where they were a few years prior. Additionally, most dealers offer great lease specials several times a year (if not all year), so it is well worth it to consider a lease if you want to drive a new car off the lot but not be hit with aggressive depreciation or be locked into paying for a car you may not even love a few years down the line. While it can be a little overwhelming to decide if leasing or buying is the best option for you and your family, the team at DePaula Chevy has years of experience getting our valued customers in both the right car and the right financing option to fit their needs and budget. In fact, our ability to provide excellent customer service is why DePaula Chevy was named a GM Dealer of the Year Award Winner in 2010, 2011, 2012, 2013, 2014, and 2015. DePaula Chevy is also a seven-time GM Standards of Excellence Leadership Award Winner, seven-time GM Mark of Excellence Award Winner, and six-time Chevrolet Genuine Leader Award Winner. So,when you’re ready to explore leasing the Chevy Equinox, stop by DePaula Chevy and let our award-winning team help you decide whether leasing or buying is right for you.